Whisk zest, juice, sugar, spices, and cornstarch until smooth in medium saucepan. Place over medium-high heat, and stir until slightly thickened, about 3 minutes. Add fruit pieces, and stir until mixture is heated through, and resembles cooked pie filling. Preheat oven to 400F degrees, and coat a 8- or 9-inch square glass baking dish with cooking spray. Reserve 1/2 cup of fruit mixture and set aside. Coat bottom of prepared pan with remaining fruit mixture. Combine first 7 ingredients for cake batter in large mixing bowl. In small bowl, whisk remaining 4 ingredients. Blend this gradually into dry mixture until all ingredients are well incorporated and mixture is smooth. Spread cake batter evenly over fruit in pan. Spread reserved 1/2 cup fruit mixture over cake batter. Bake for 25-30 minutes, until cake inserter comes out clean and cake is lightly browned on top. *While blood oranges are in season (through May), I highly recommend using them in this recipe! 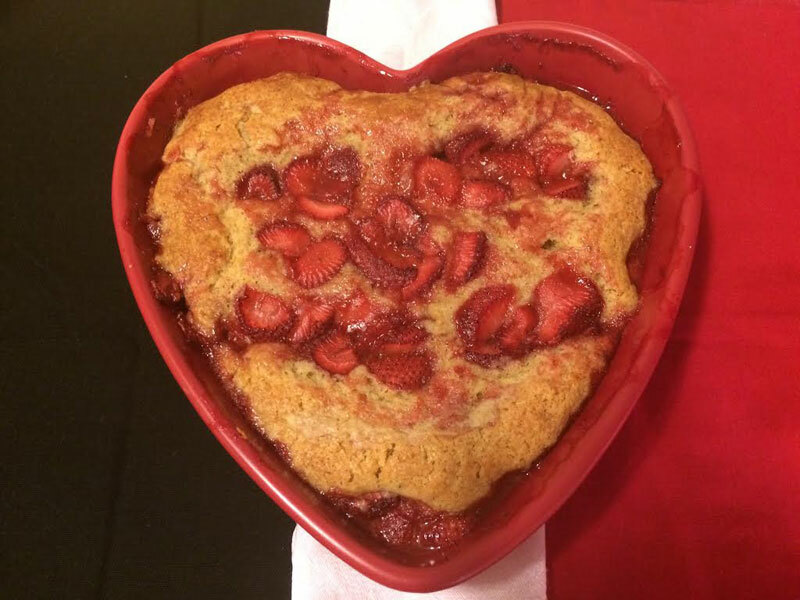 Once upon a time, in the very early days of Melting Pot Tours, I was gifted with a 3-pack of fresh strawberries that inspired one of the best strawberry cakes ever. That gift came on a warm, sunny Saturday May afternoon, from my beautiful friends at Farm Fresh Produce at the Original Farmers Market. “You really need the 3-pack,” she insisted. “Really I don’t. They’re just for me,” I tried to resist. She won. I took them. The next morning, I was on a tear to find the best strawberry cake recipe ever, since I now had this gorgeous overabundance of ripening strawberries. It felt like they were pleading with me to make them into something amazing. A couple hours later, from a recipe that was originally designed for a strawberry-rhubarb cake, I removed from the oven ... something amazing. A few hours after that, a third of the cake had vanished. Remember now, this was just for me. Please do not ask how long it was before the entire cake was gone. The following week, I told my darlings at Farm Fresh that the next time I made that cake, I was bringing it to them. Only because I knew that my consuming that entire cake was destined to happen ... mmmmmaybe more than once again. That next time, I adapted the recipe with my own touches to include fresh citrus juice, zest, and spices, especially freshly ground nutmeg. It became even more irresistible. Not surprisingly, we all agreed it was like crack so, in short order it came to be officially named just that. Strawberry Crack Cake. The recipe is very easily adaptable to be made year-round, with other seasonal fruits. I’ve made it with fresh pear, apple, and cherries in the fall; it’s fantastic with stone fruit and raspberries in the summer. 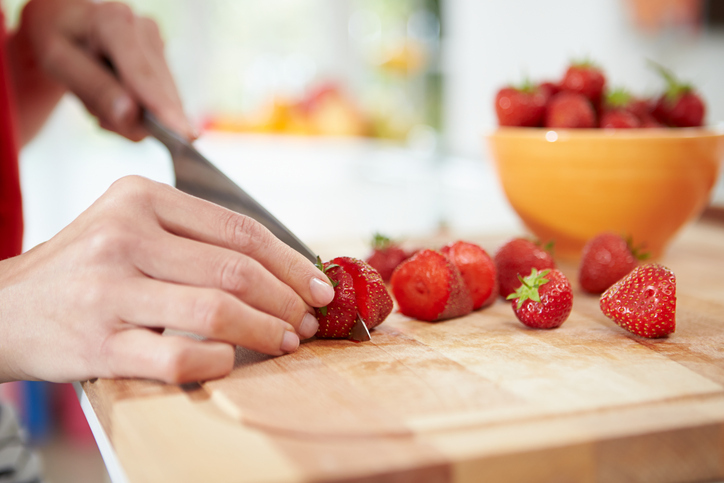 Still, it comes to its most beautiful life when made with fresh strawberries, in May. By the way, I am here to tell you that sharing (the cake) is strictly optional.